That they are looking over your shoulder? That your efforts are being scrutinised? Make no mistake about it, you are. We want to see what you can do. We are looking for inspiration. We are cheering you on. 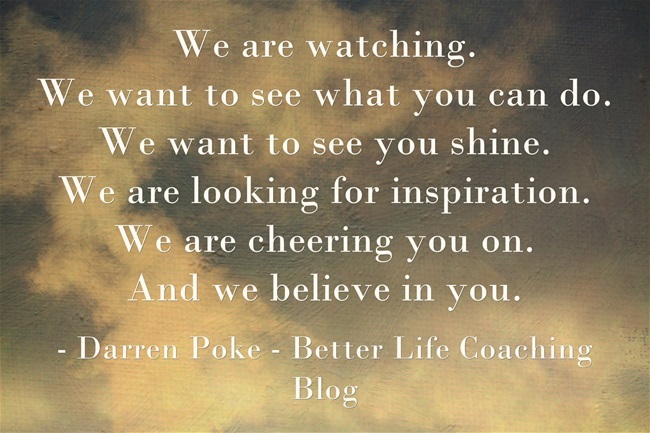 And we believe in you. We are watching, but in a good way.